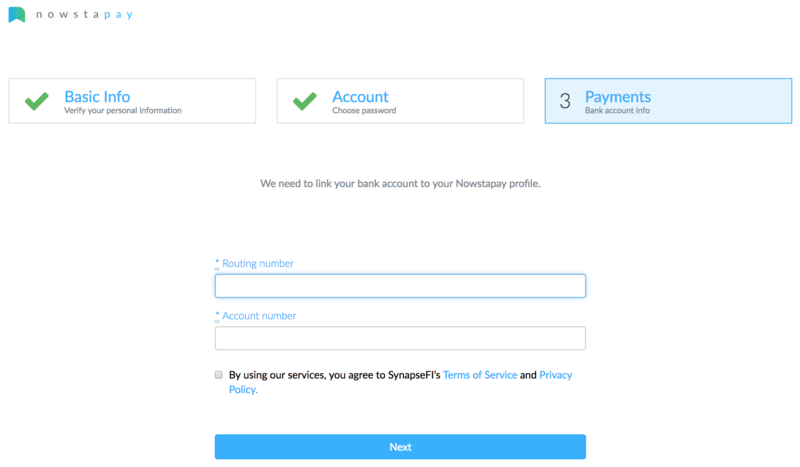 When your employer first invites you to NowstaPay, you will receive an email from support@nowsta.com with details to Cash Out. After clicking the Cash Out button, the site will walk you through the registration process. The third step will allow you to input your bank account information. Type your routing and bank account number, and click Next to store your bank information. You'll now have the ability to access your earnings directly after clicking the Cash Out button in your email or mobile app.